It was a fine day to cross the border: sunny skies, hot weather. The exit procedure from Mexico was pretty straightforward, we just had to do the reverse of what we did when we came in: discharge the vehicle importation permit, then the tourist visa, and then get our passports stamped to exit the country. 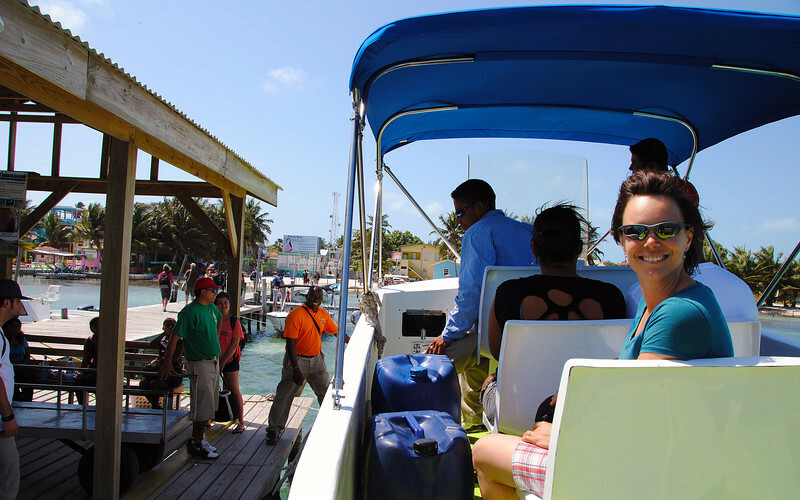 Then we had to do it all over again to enter Belize! 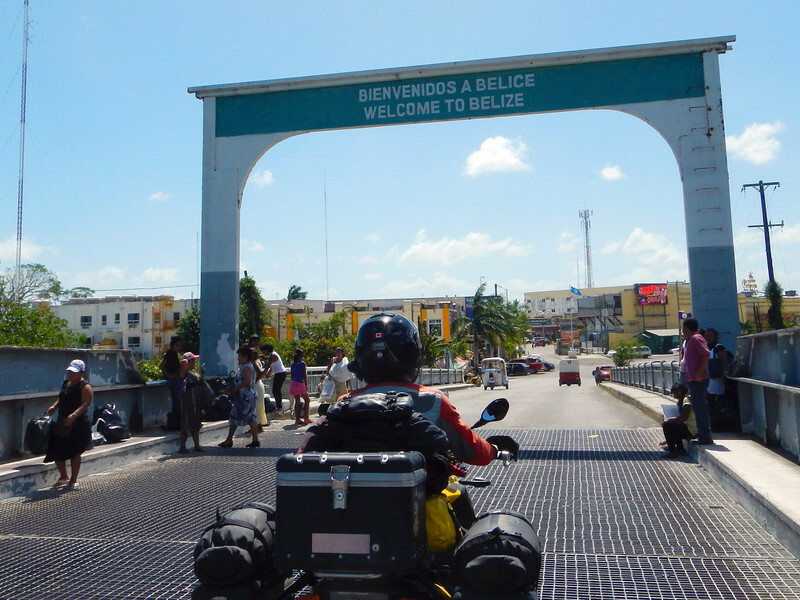 We didn't really know much about Belize before crossing the border, having done no research at all. 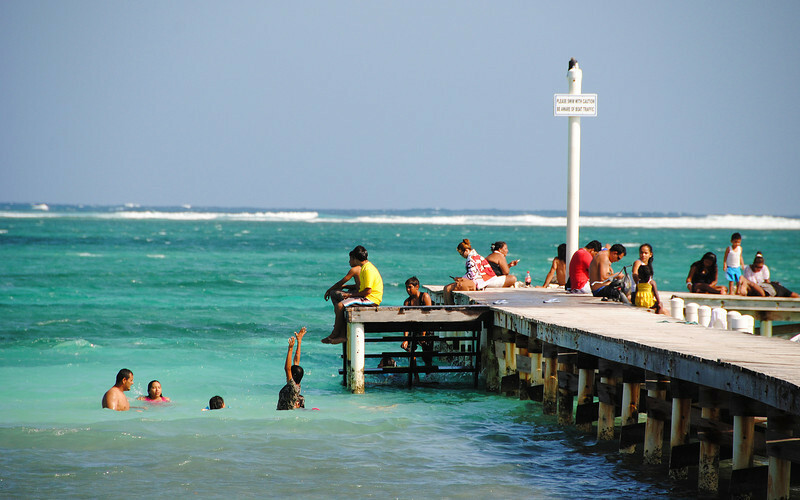 It was surprising to us that English is the official language of Belize! Yay! I can communicate like a grown-up again! 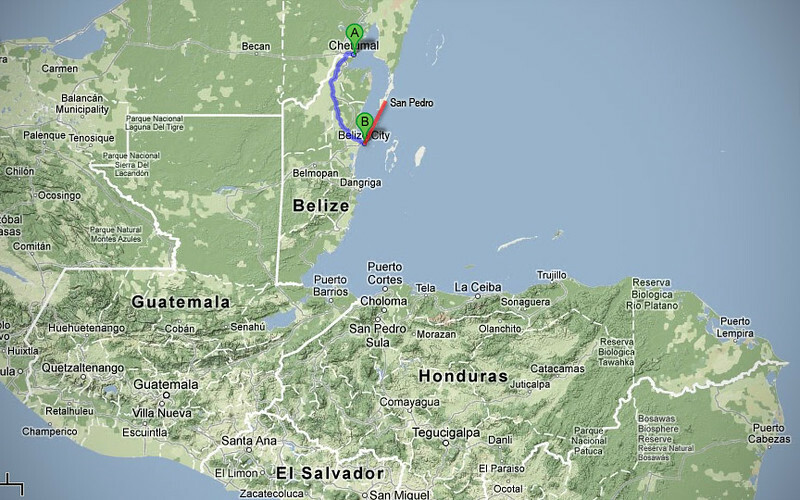 The other surprise was that although we had officially crossed into Central America, Belize is part of the Caribbean! 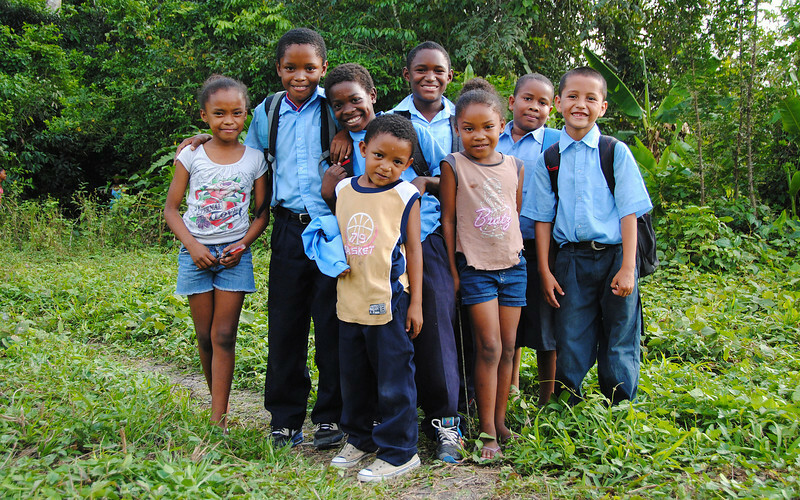 Its British colonial heritage explains the English language, and it was once called the British Honduras. Also, there was a very breezy feel to all the officials we met; a laid-back attitude coupled with that easy island accent: "Everyting's gonna be alrite, mon!" A new wrinkle to border crossing: fumigation! 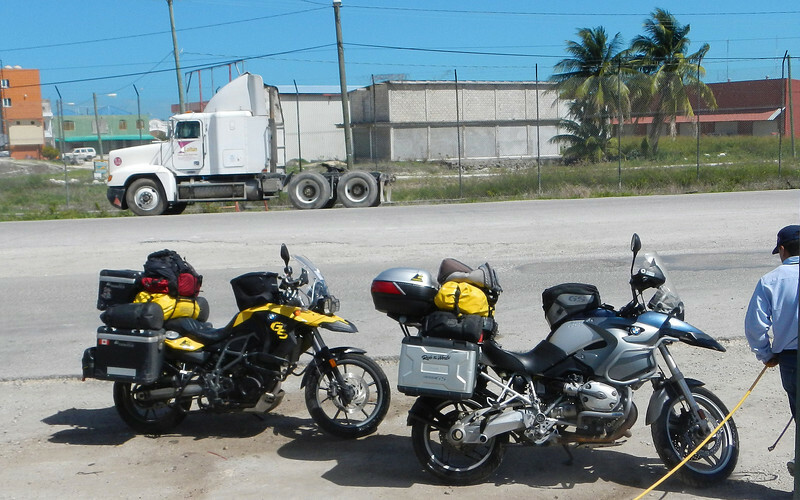 We purchased the mandatory vehicle insurance just past the border and started riding towards the largest marked city on our GPS. 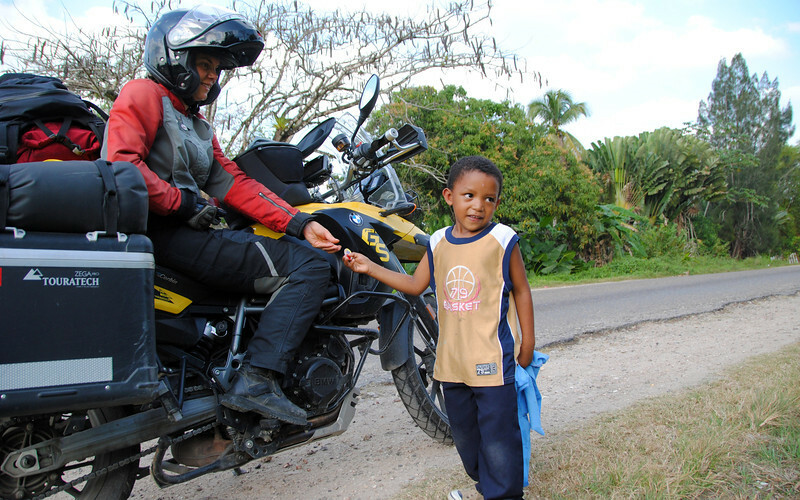 Central America is not as well-documented as other regions, and there were two free GPS maps available on the Internet. So, we split the difference, and Neda had one copy on her GPS and I had the other. Right away, we realized we were in trouble when our GPSs pointed to two different directions... It took a bit of zooming out to figure out that there were differences in routing and streets on both maps, so we had to be a bit smart about deciding which direction to take. In the end, I'm glad we are using two different maps, because neither was totally complete and accurate and we were able to deduce which was the "better" route by comparing zoomed-out maps. 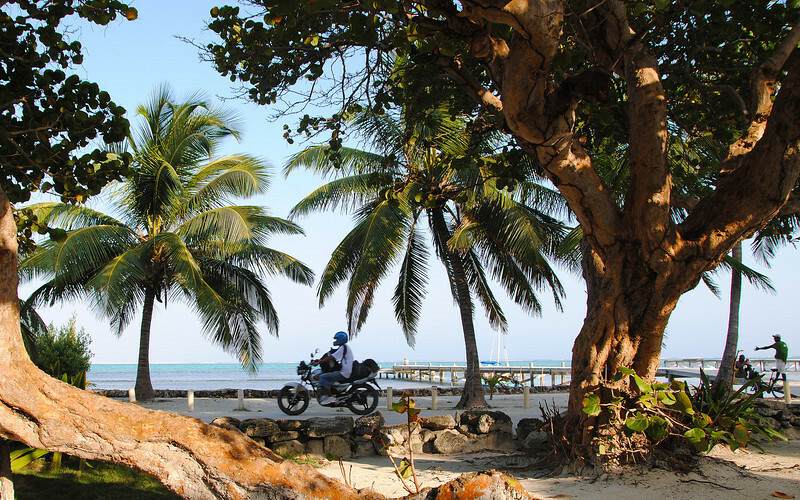 Riding through Belize was quite a contrast to Mexico. The roads were not very well-maintained and the signage was not very helpful. Perhaps we were too used to the "Mexican way" and needed to adjust to a new country. 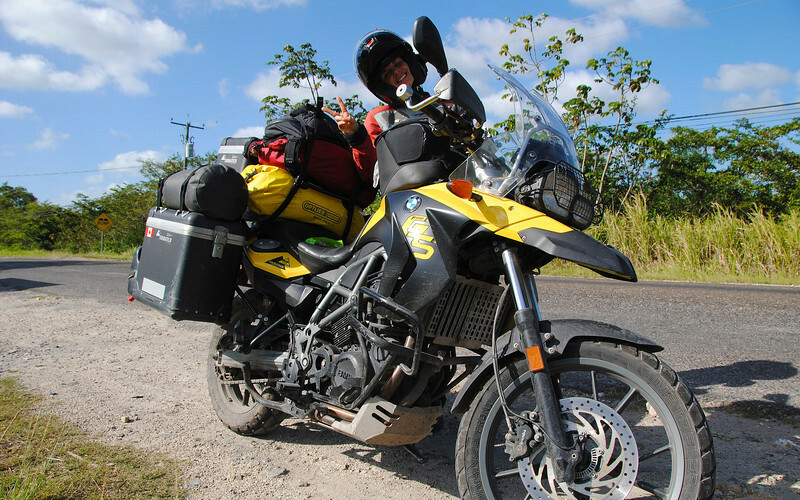 The scenery was so lush with tall un-maintained grass surrounding us as we rode through Northern Belize. We passed several small villages and noticed a lot more multi-culturism here than in Mexico: Caribbean, Mayan, Chinese and lots of Mennonites all over the place! What was up with that? Neda handed out pens to all the kids, but she ran out and this little guy got a small toy instead. 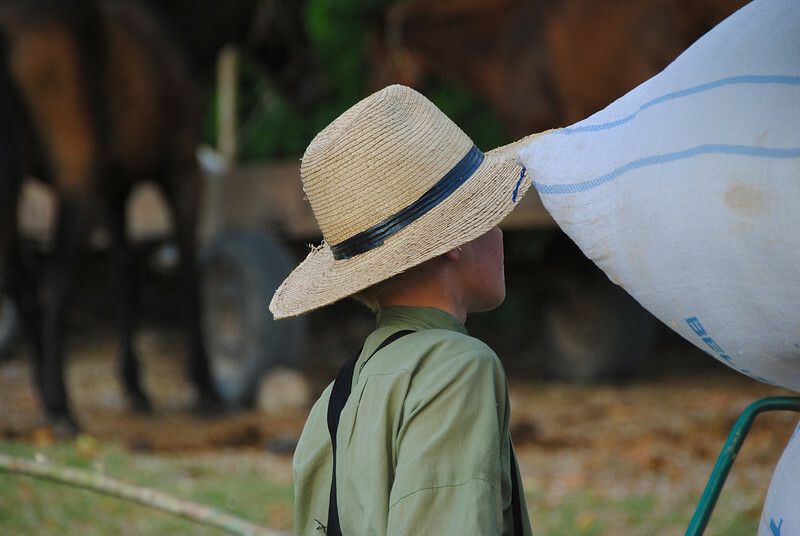 I did some reading up on the Mennonites in Belize. They originated in Prussia, but fled to other parts of the world in the 1870s when mandatory conscription conflicted with their pacifist beliefs. The Prussian Mennonites that settled in Canada moved further south in 1918 after WWI, when we introduced mandatory conscription as well. They ended up in Mexico, and AGAIN had to leave when in the 1950s, the government insisted that they enroll in the social security programs. 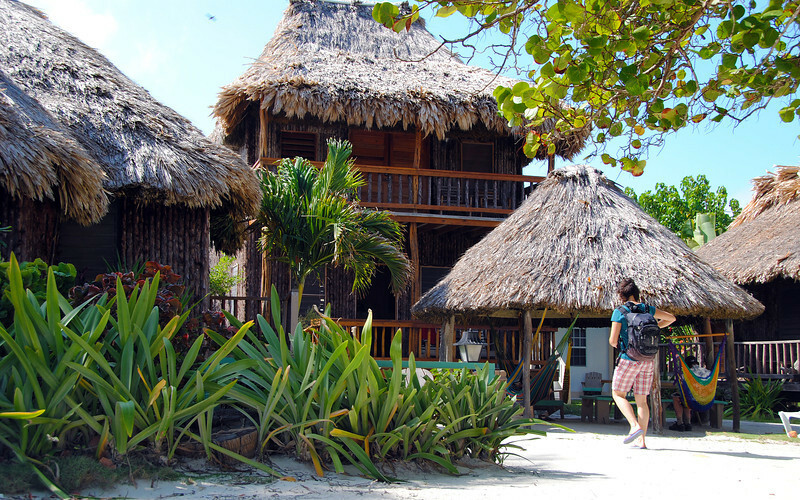 The Mennonites finally settled in Belize where they've been since 1958. They've invigorated the agriculture industry here, turning huge tracts of tropical jungles into farmland. 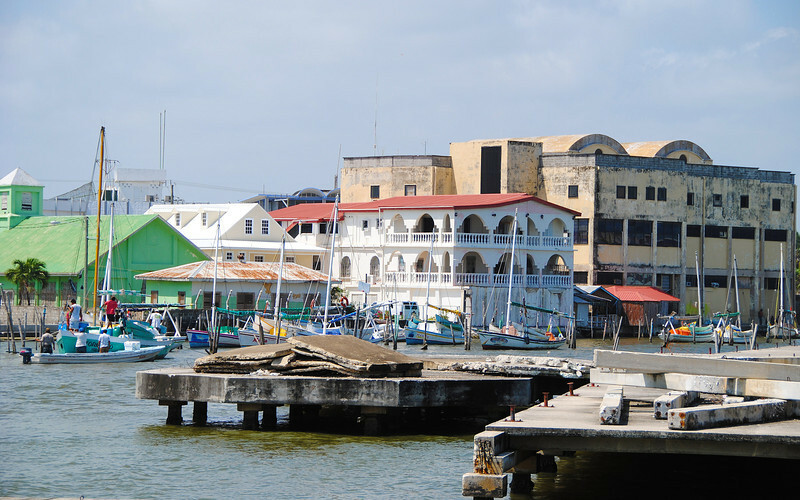 Belize City is a port town only a couple of hours ride from the border. The entire country is tiny, with a population of only 300,000 people, and almost a quarter of the population lives in this city. It used to be the capital until a huge hurricane almost decimated it over 50 years ago. The capital was then moved further inland to Belmopan. 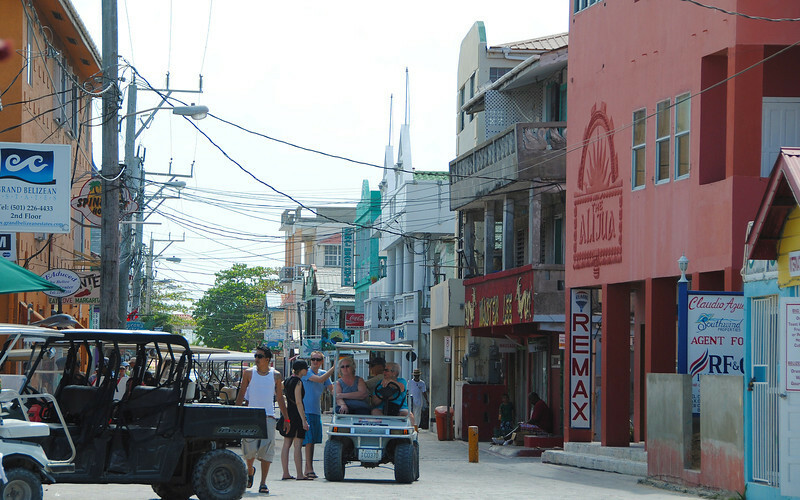 As we rode around, we found that the city doesn't seem to have a tourist district, just the port area was done up to cater to the cruise ships docking here on their way to the islands. We decided not to spend too much time here, the city was not very nice and personally, I didn't feel too safe there. We booked into a hotel at the outskirts of town and figured out where to go from here. We've decided to take a mini-vacation! Parking the bikes at our Belize City hotel, we book a trip on a water-taxi that travels a couple of hours out to San Pedro, on the islands just off the coast. 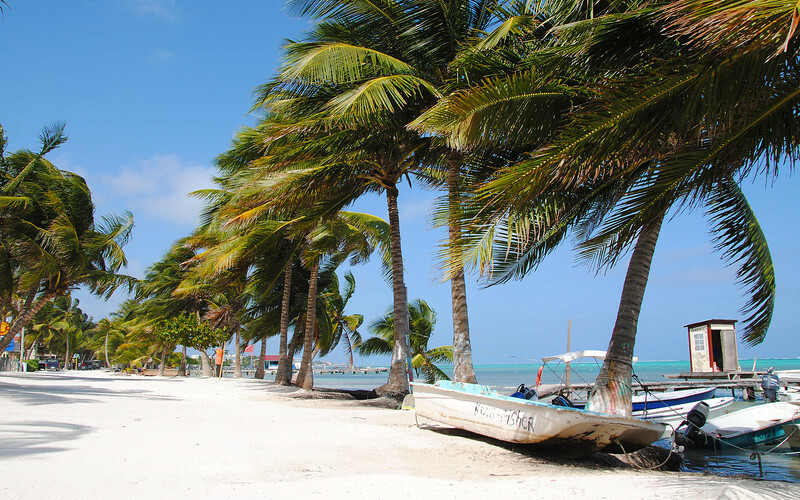 All of our reading say that the beaches there are *the* place to hang out while in Belize. Beaches be jealous and all! 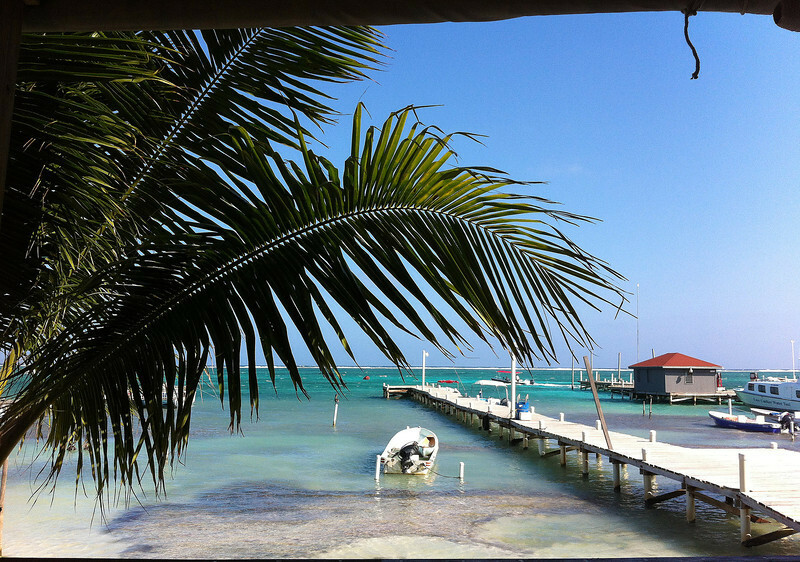 Belize is expensive. With their currency pegged 2-to-1 to the US dollar, after conversion everything costs exactly the same as the US. 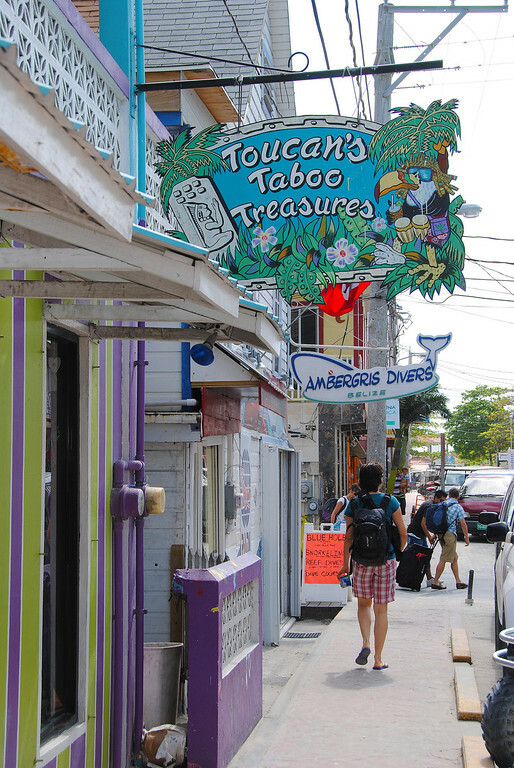 And it's even worse on the island, where we pay US tourist prices for food and accommodations. Neda finds the cheapest hotel on the beach, and we still pay a princely sum for a slice of sunny paradise. This is our hotel! We really loved it here, but didn't stay longer because it was so expensive! 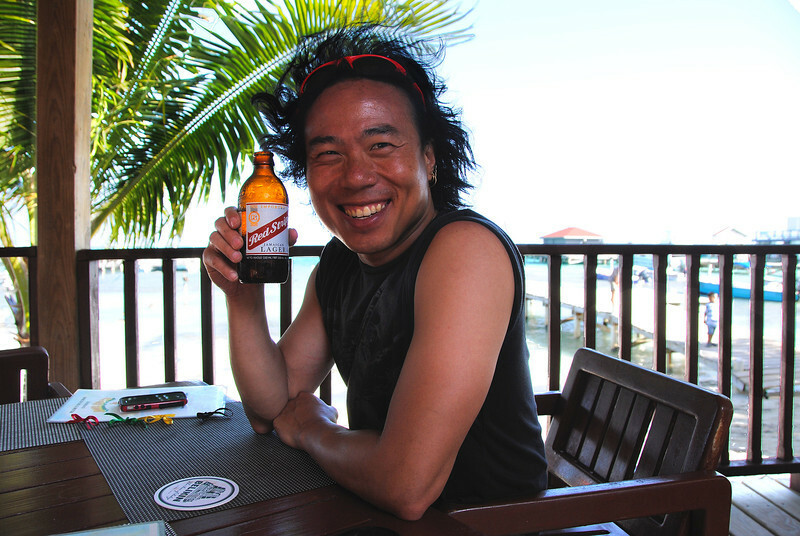 Red Stripe! Irie, Mon! I used to drink this when I was younger, brought back memories! 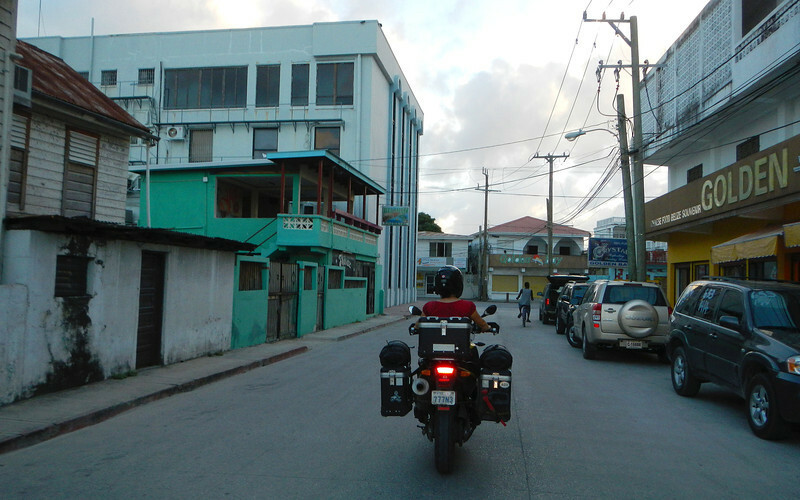 I searched high and low for a Jamaican restaurant and found one at the south end of the island. 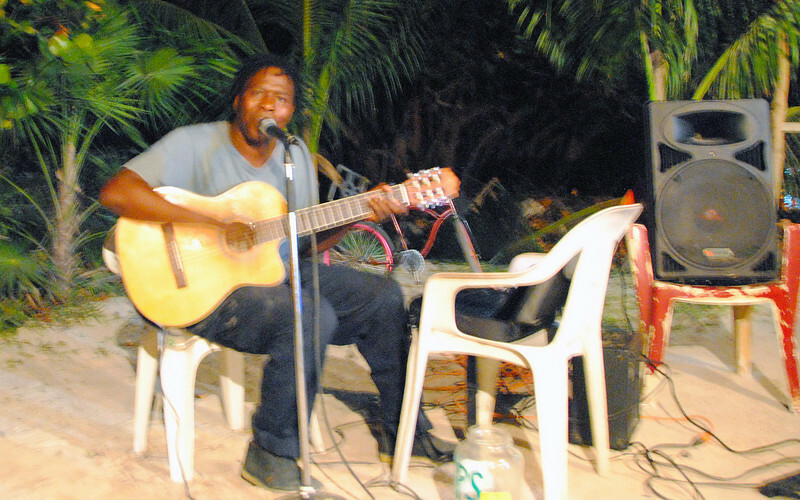 There, we were serenaded with gospel music while we ate jerk chicken with rice and peas! Fry Jacks for breakfast - a Belizean specialty. 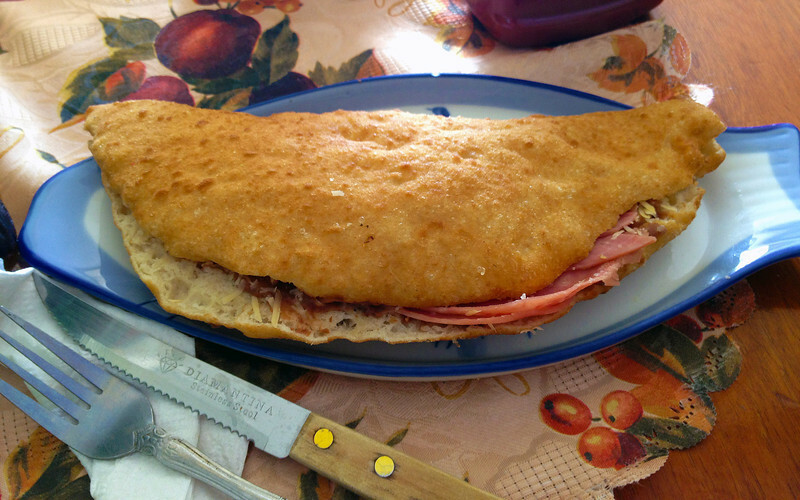 Fried, golden dough stuffed with whatever you want inside! ...Spending the day lounging around, watching all sorts of traffic pass by. Heaven!